My "RoundAbout" quilt has been selected for QuiltCon 2016 in Pasadena, CA, February 18 - 21. This is the international modern quilt show held each year by the Modern Quilt Guild. 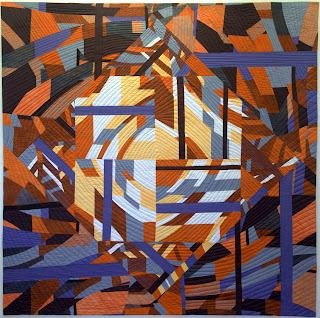 RoundAbout is one of the 350 quilts selected from over 1800 entries.